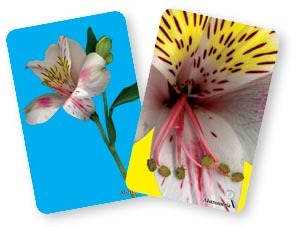 Double Take Plants & Flowers is a memory card game with a clever twist on the traditional version. Match the flower to its super close-up view. 56 durable over-sized cards (28 flower pairs). Includes an educational poster.